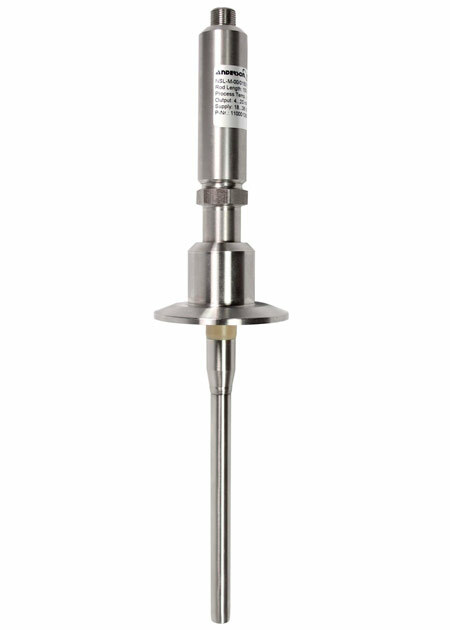 Probe type process level transmitter is the compact, high temperature alternative to the NSL-F. Accommodates Top down, bottom up and side mount installations. Measurement is temperature and pressure independent. Optional user interface MPI-200 allows field configurability of orientation, range, and signal output options.